This large detached family home with POTENTIAL GROUND FLOOR ANNEXE is perfect for multi generational living and has accommodation briefly comprising living room, modern fitted kitchen/diner, 5 double bedrooms (master with en suite bathroom) , family bathroom/w.c. Whilst outside is driveway parking for numerous vehicles leading up to a single garage and a easy to maintain walled rear garden, the property benefits form the insulation of uPVC double glazing and gas central heating. The property is situated in a tucked away location within a 100 yards walk from St Marys square with all its local amenities including a convenient sub post office, hairdressers, public house, chinese and indian takeaway. The bus service pass’s through St Marys square with connections to Brixham town centre where you can find an array of facilities, amenities and aswell as the picturesque Bixham harbour surrounded by a range of boutique shops, bars and restaurants. There are two nearby primary schools and both within 200 yards walk with secondary schooling a further of a quarter of a mile distant. 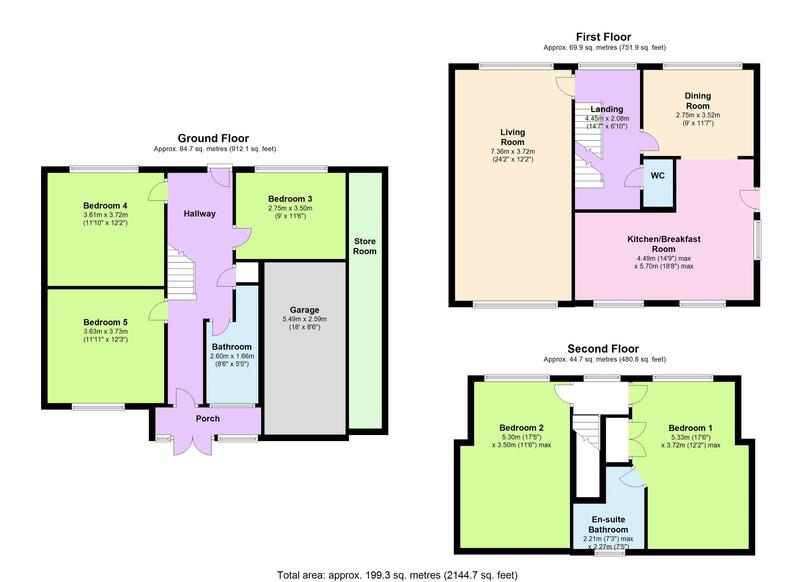 An internal viewing is an absolute must to appreciate the size of the accommodation on offer. 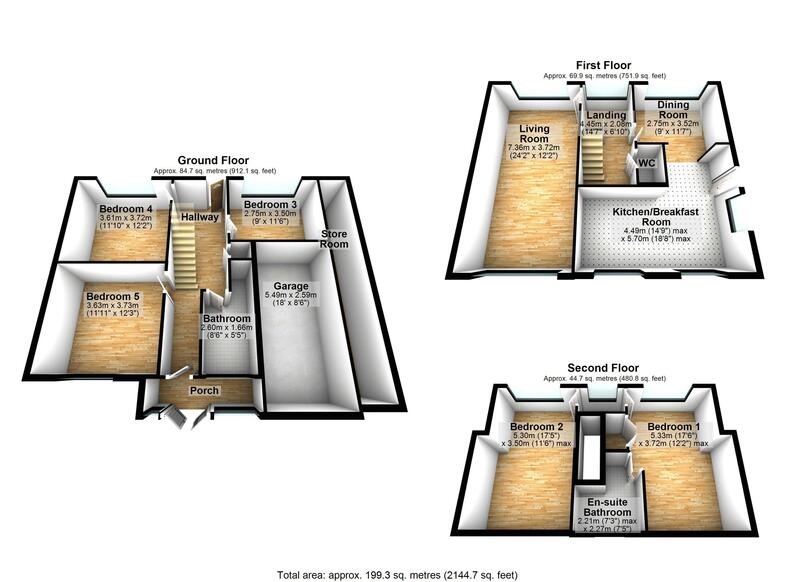 Click here to view all rooms specification and EPC.